Princess Cruises announced Tuesday the expansion of its Princess MedallionClass experience to three additional ships – Royal Princess, Crown Princess and Sky Princess – building on the enhanced and personalized cruise vacations guests are currently enjoying on its Caribbean Princess ship sailing the Caribbean, and with Regal Princess starting Feb.17. The OceanMedallion, included complimentary, is a wearable device that elevates the guest experience by delivering an enhanced level of personalization and innovative services resulting in high guest satisfaction scores. – OceanCompas: Available on guests’ smart devices and portals throughout the ships, OceanCompass leverages the OceanMedallion to enable point-to-point wayfinding throughout the ship. OceanCompass guides guests throughout their journey, providing directional information so they can seamlessly navigate to their next point of interest, as well as easily locate and chat with friends and family on board using ShipMates. – JourneyView: Available now on ship portals and coming soon to smart devices, this interactive timeline lets guests scroll through all of the events available on board during their voyage. Functionality will also soon give guests the ability to bookmark and add activities that appeal most to them to their own personalized itinerary. – MedallionPay: An easy to use payment feature, enabling crew members to focus on meaningful guest interactions. – OceanCasino: On smart devices and select portals, guests can wager real money on games, including slots, poker, bingo, roulette, keno and lottery from anywhere on board. – PlayOcean: On portals located shipwide and using smart devices, PlayOcean offers guests a new level of fun with interactive games, a digital scavenger hunt, customizable avatars, and more. PlayOcean also transforms guests’ mobile devices into game controllers for interactive gaming on the massive Movies Under the Stars screen. – OceanView: Guests can stream more than 100 hours of award-winning Ocean Original travel shows to their smart device anywhere on the ship at no cost – content which airs nationally on weekends on ABC and NBC. OceanView is also available on stateroom TVs as well as on Roku, Amazon Prime and Apple TV. 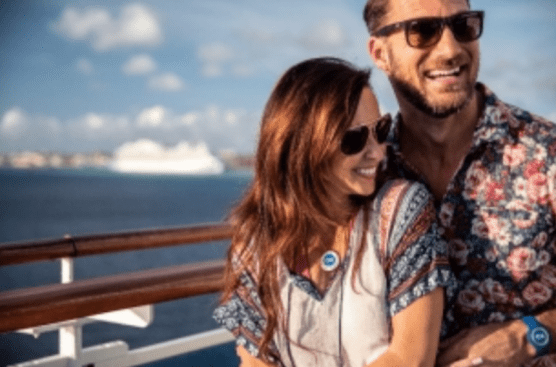 Now is the perfect time to book a Princess MedallionClass vacation to the Caribbean or Alaska during the All Aboard Sale that is available through Feb. 28. For more information visit Princess.com, call 1-800-PRINCESS (774-6237) or contact your professional travel advisor. Princess MedallionClass activates a travel industry first by utilizing an Experience Internet of Things platform with a guest-centric approach to help maximize a cruise vacation in real-time based on guests’ choices and preferences. The result delivers enhanced personalization on a large scale across every aspect of a cruise vacation. Three new Royal-class ships are currently on order with the next new ship, Sky Princess, under construction scheduled for delivery in October 2019 and Enchanted Princess in 2020. Princess recently announced that two new (LNG) ships which will be the largest ships in the Princess fleet, accommodating approximately 4,300 guests with expected delivery in 2023 and 2025. Princess now has five ships arriving over the next six years between 2019 & 2025.